This is the new seasonal bar from Aero, called the White Winter. 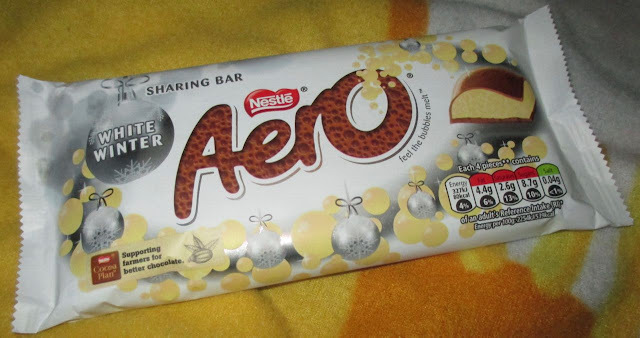 It isn't the first time that Aero have brought out a white chocolate bar, but its been a while since I've tried one. I picked this up at a branch of WH Smith where it was on offer for £1, which is good value for a big bar. The chocolate bar reminds me of the Cadbury Snow Flake, only in that it was a white chocolate coated in milk, I used to love that bar! 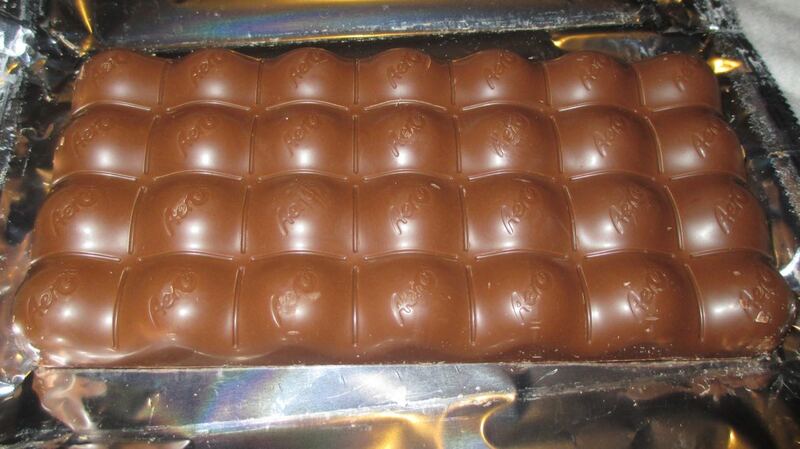 The White Winter Aero is a nice bar, it is sweet and soothing. I would have preferred the white chocolate bubbles to be a bit creamier, but the flavour was mild and sweet and still pleasant. 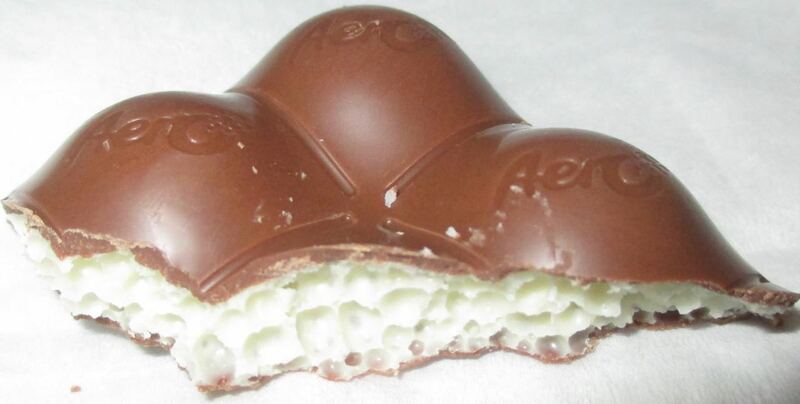 As with all Aero bars the bubbles were spot on, I enjoyed the texture, and how a big chunk of chocolate can just melt away. For me this was a tasty treat, and I enjoyed the bar. The winter theming wasn't overly exciting but it is the sort of bar I’d pick up again as a fun sweet treat, particularly if I see it on offer. I think Mint Aero still remains my favourite in the range, but this is a nice seasonal change. "on offer for £1, which is good value for a big bar."